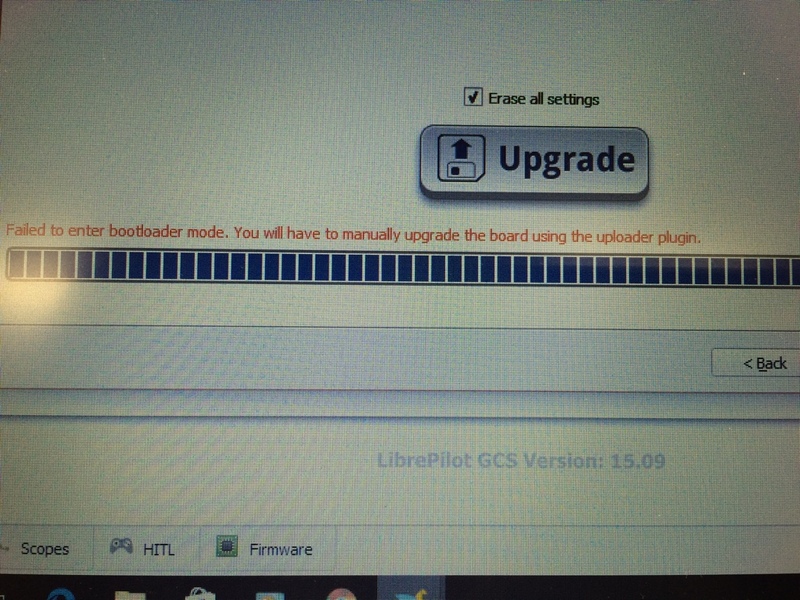 Tried to Upgrade and Erase an older cc3d board today and got this error message saying that I have to manually upgrade the board using the uploader plugin? I have no idea what that means, can anyone help? Wizard need auto-reboot feature. If using a old CC3D maybe the bootloader is not up to date. Update bootloader to v4 and next update firmware.